Moving forward, the weather feature will have a reduced effect on the rate at which Pokémon appear. As you explore a given area, you will notice that a greater variety of Pokémon species will appear over time and at different rates. Certain areas, such as parks and nature reserves, will now contain more varied Pokémon species. CP values will be adjusted going forward to improve game balance. 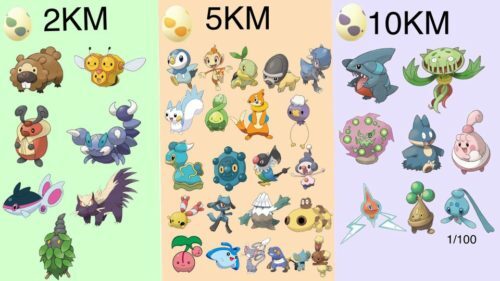 HP values will be adjusted to close the gap between Pokémon with high and low HP. Pokémon Defense and Stamina values will be rebalanced, allowing Pokémon with high defensive stats to be valuable by outlasting opponents in battle rather than these Pokémon merely taking too long to defeat. Defense values have also been slightly reduced for most Pokémon. Changes like these will help narrow the gap between Pokémon with the highest defensive stats and other Pokémon.